One of the many visitors to the 2015 festival were Brian and Christine Porter, of the Lincolnshire Medieval Graffiti Project. Brian told us: "My wife Christine and I visited 11 churches during the festival, finding graffiti in seven of them. This is part of a long-term project that has now recorded graffiti in 60 Lincolnshire churches, plus finding graffiti in another 76 that still need recording; and 500 more churches not yet examined!" Brian has kindly shared some of the photographs and findings that he and Christine made at the festival. Fillingham had three examples of the same Mason's mark on the font. cross previously unseen by the church community! south door frame, but what it means is a mystery. Any suggestions? 18th Century graffiti at Rand Church, the name "I Bentley Fulnetby 1768". Neither of the ladies looking after this church had noticed these graffiti before. 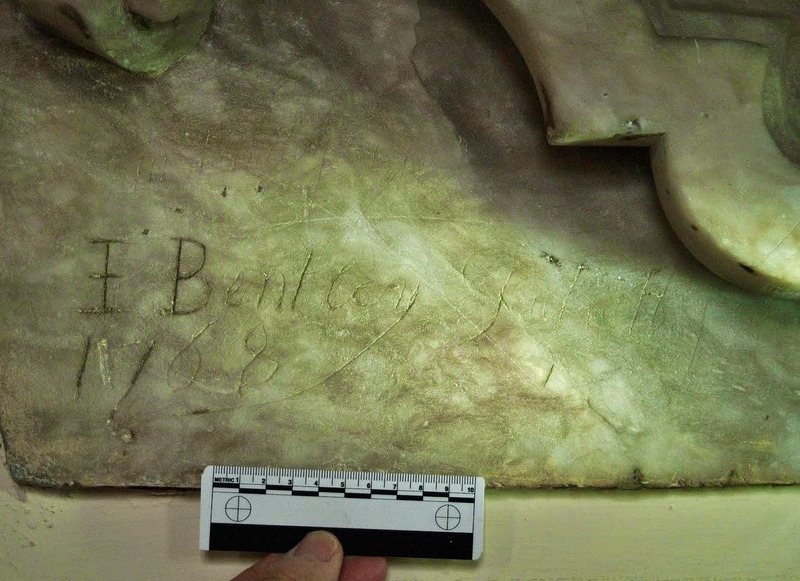 Research into parish records may be able to shed light on the illicit carvers. No other graffiti found inside. to be representative of the Virgin Mary. 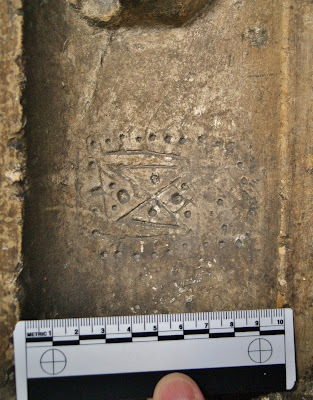 This page links you to some of the group's work in surveying the medieval / ancient graffiti found in Lincolnshire churches. 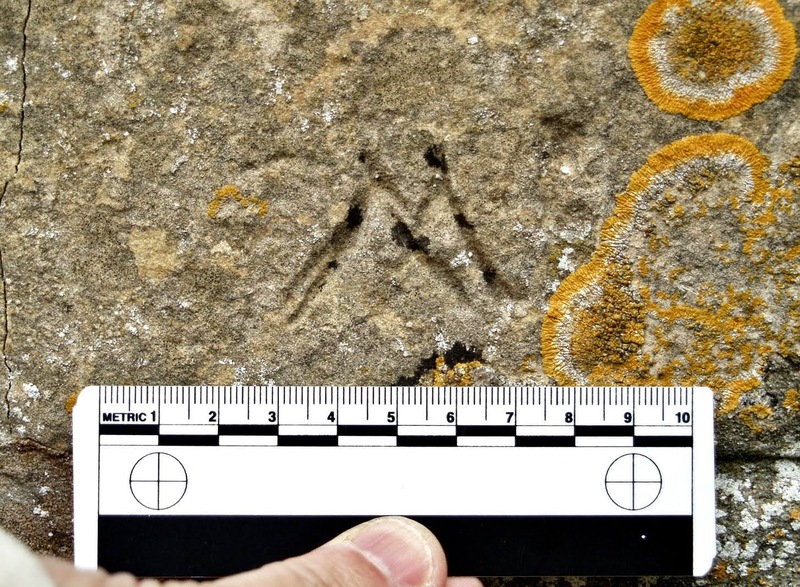 Although initially interested only in medieval graffiti (anything up to the end of the 15th century), they have also found lot of more recent graffiti. 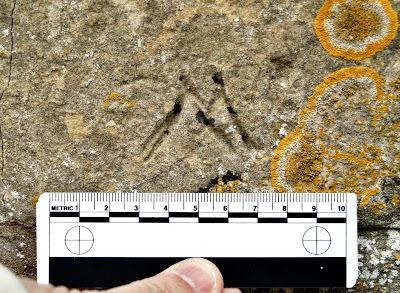 Whereas medieval graffiti tends to be symbols and images, the post-reformation graffiti is often initials or names. The next West Lindsey Churches Festival will take place on 7-8th and 14-15th May 2016, our 21st year! There will be over 80 churches open across the district, just north of the cathedral city of Lincoln, England. This website will be updated with the 2016 details in March 2016, but please look at the existing pages as they will give a very good idea of what the festival is all about. This is important as it forms the W/V basis for the 'grid' or 'mesh graffiti' found elsewhere which is in fact an elaboration of the apotropaic Marian monogram deflecting malign influence.